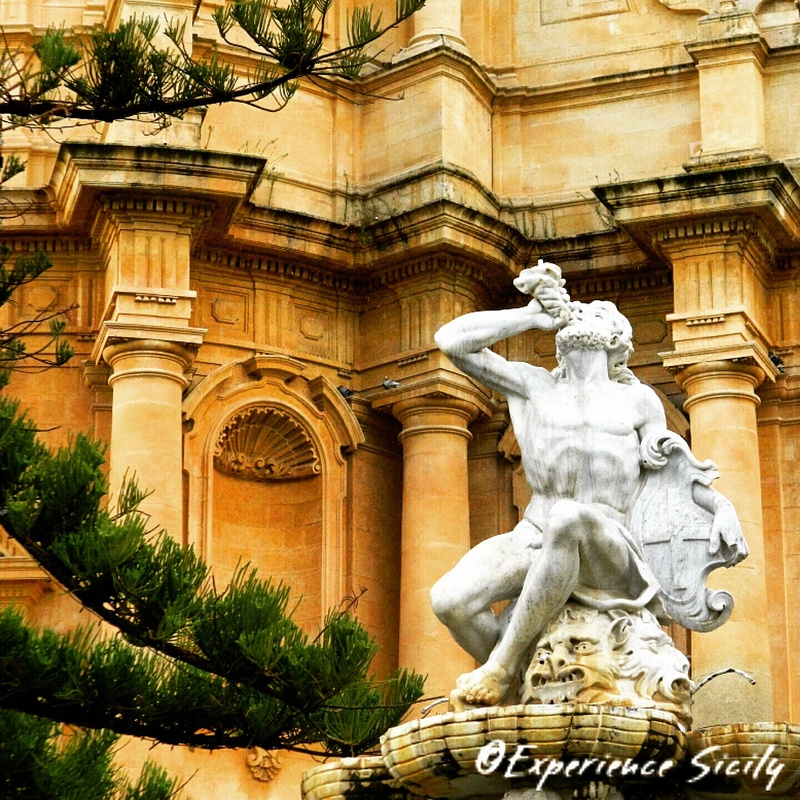 The Fountain of Hercules located in Piazza San Domenico in Noto was created in 1757. It was intended to be reminiscent of Bernini’s masterpiece Fountain of the Four Rivers in Rome’s Piazza Novana, and probably, since he possesses a shield of the city, symbolizes the strength of the community that rebuilt after the devastating earthquake of 1693. On Day 6 of September 22-October 4’s Savoring Sicily tour, we’ll learn about the remarkable Baroque architecture that earned Noto a spot on the UNESCO World Heritage list and its architectural significance. Join me to visit the “Stone Garden” of southeastern Sicily. Contact me at AllisonScola@ExperienceSicily.com for more details.